What an eye-catcher! 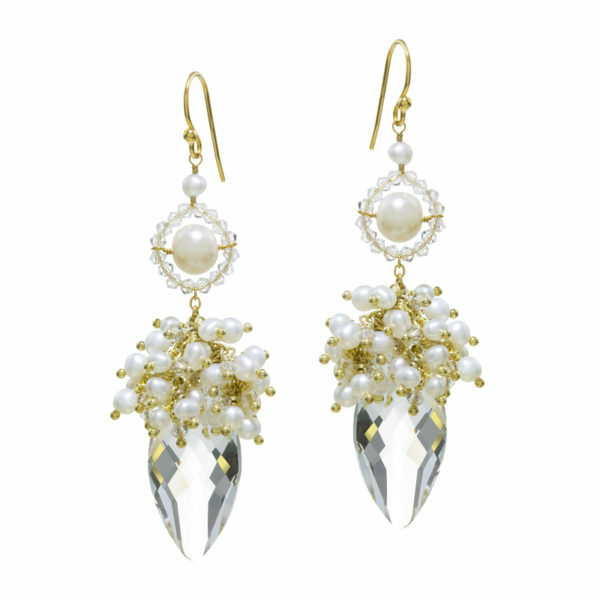 At the top of these detailed, exclusive earrings, there is a small and a large freshwater pearl, the latter being framed by a circle of Swarovski crystals. 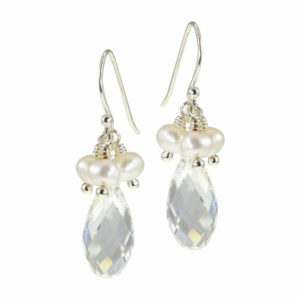 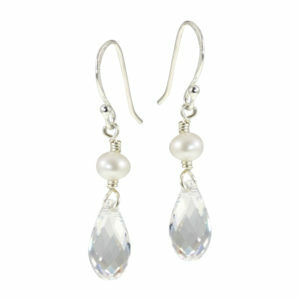 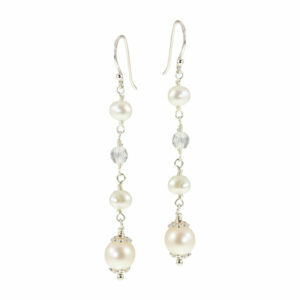 At the bottom, a large, faceted Swarovski crystal is crowned by a cascade of tiny freshwater pearls. 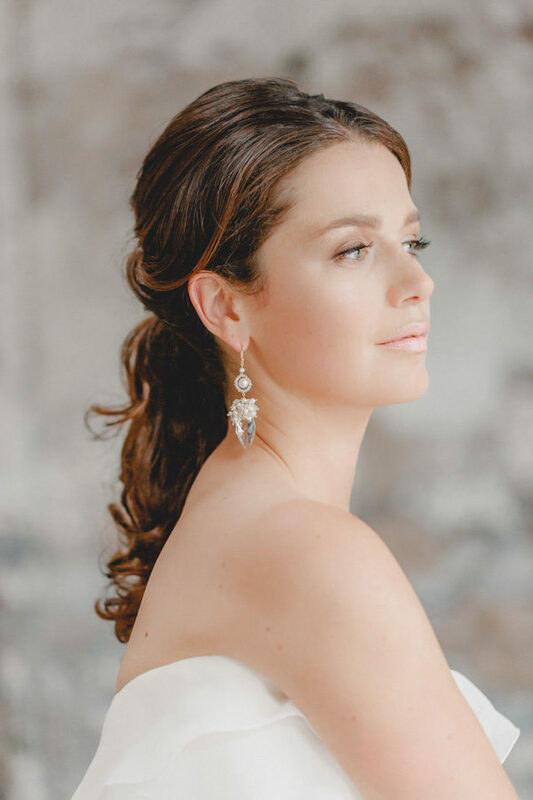 These stylish, chic earrings guarantee a grand entrance for the most confident of brides and impress with a wealth of details. 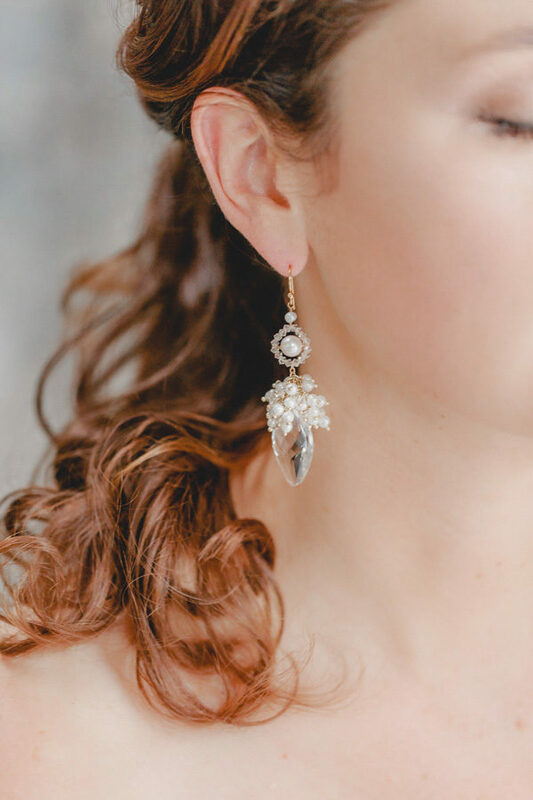 The faceted cut of the Swarovski crystal ensures that this jewellery sparkles in the sunshine of the day, and the candlelight of the evening wedding dinner.